Micromax A89 is a good Android device by Micromax. The device became popular some time ago because of it's feature in low price. 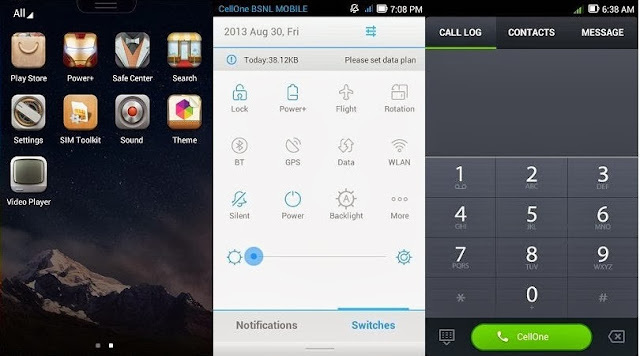 There are many custom ROMs for Micromax A89 but I am going to show you LeWa OS for Ninja A89. 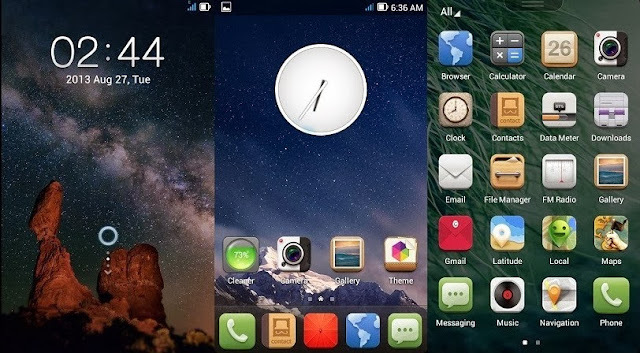 Lewa OS is one of the best ROM which stands after CyanogenMod ROM. It is same as MiUi, JoyOS, CyanogenMod and other ROMs but it is having a beautiful UI, faster application processing etc. that's why people like it. Earlier I posted the LeWa OS for Celkon A119 and now for Micromax A89. Now let's see the ROM and all. Flashing the ROM will void your warranty- You cannot avail your warranty after flashing this ROM. You need to flash the stock firmware and unroot Ninja A89 to avail the warranty again. We're not repsonsbile- I cannot say what you will do so I won't be taking any responsibility for your bricked device but I can/might help you to get your device working again. The ROM is Ice Cream Sandwich- Micromax A89 doesn't have any Jelly Bean update so don't expect the ROM to be Jelly Bean! The ROM is ICS, as the heading says. This is because Jelly Bean needs JB Kernel support but Micromax has not released any Kernel Source so please don't dream about JB update. If anything went wrong [for example: device not booting, SD Card bricked etc. ], don't blame me or my blog. I am sure nothing will go wrong but what about beginners? I can't guranty that they will do everything right only. That's why I won't provide any help to the users. It is always important to perform a Nandroid backup to be on the same side. Download the ROM from the link [in download section]. Do not extract the ROM because we will flash the ROM as .ZIP only. Now, move the ROM to your SD Card. Again, do not extract the ROM! Shut down the device completely and plug out the battery. Replug the battery after few seconds. Press and hold Volume Up (+) and Power Button for some time. Soon you will see an Android image. Now press Home Button to go to the Recovery. Select Backup and Restore from the main menu. Now go back and select Wipe data\Factory reset and select Yes. Again go back and select Wipe cache partition. From the main menu, go to Mounts and Partitions and format /System. [Format /System option]. Go to advance from the main menu and wipe Dalvik cache. Select Install zip from sdcard and go to the ROM. Select the ROM and click on Yes. The Reboot will take some time because the Android OS is building some caches that are required to boot. This will not take more than 5 minutes, so be calm and wait for the home screen. Enjoy LeWa OS on Micromax A89 Ninja! If you are having any problems, shoot a comment here. I'm here for you. Sorry for this bug. I'm not the developer of this ROM. Only if you want to brick your device...NOPE. Because it is MediaTek device. Backup NVRAM folder (or .img by using any tool).. You can also use mobileuncle mtk tools application to backup and restore easily.